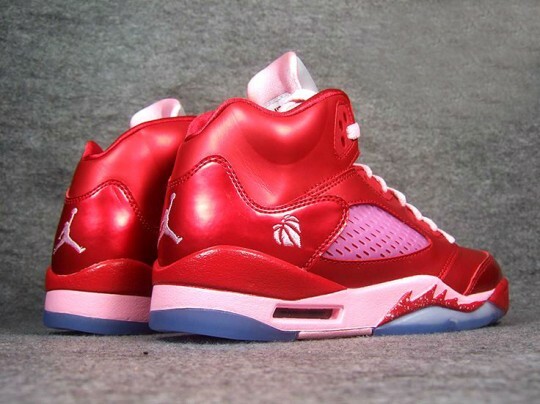 The Jordan Brand will celebrate the upcoming Valentine's Day holiday with a release of this all new Air Jordan 5 Retro for the ladies. 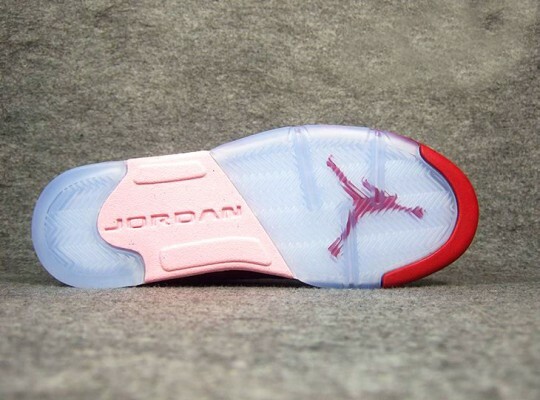 The all new Air Jordan 5 Retro brings to life a traditional Valentine's Day inspiration, sporting a combination of red and pink hues. 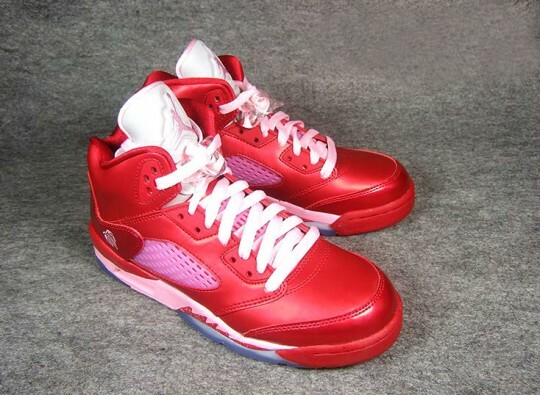 A metallic red leather takes over the entire upper on this Valentine's Day AJ 5 Retro, working together with hits of pink over the laces, Jumpman logos, tongue liner and midsole below. 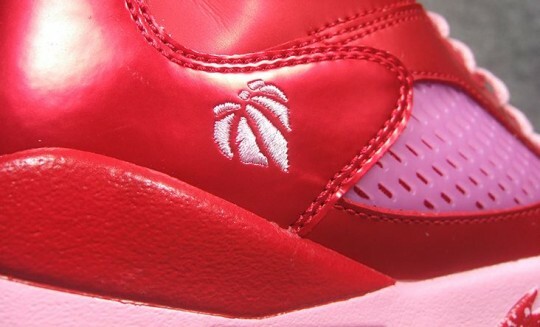 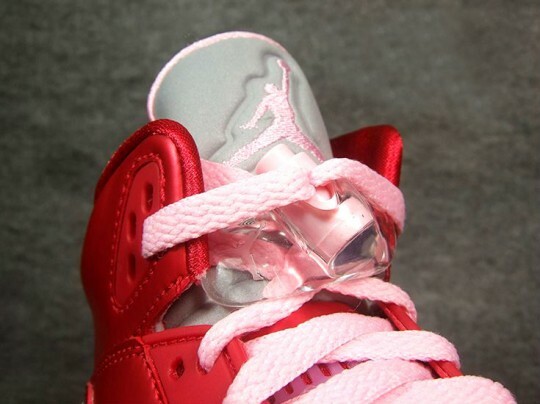 The Jordan Brand's popular "For the Love of the Game" logo finishes these off on the heel. 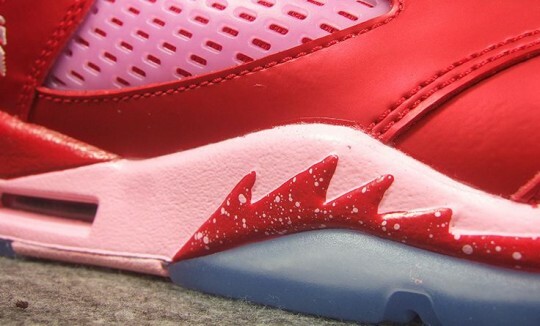 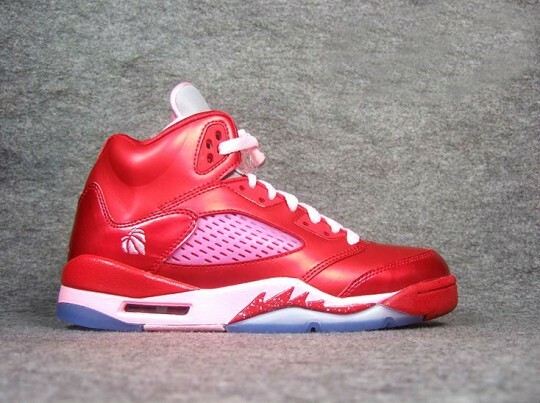 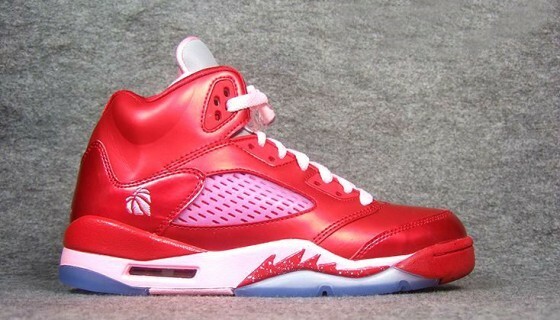 The "Valentine's Day" Air Jordan 5 Retro GS is expected to officially release in February.